Pakistan Telecommunication Company Limited (PTCL), the Country’s leading telecom and ICT services provider has announced its financial results for the Quarter ended March 31, 2018 at its Board of Directors meeting held in Islamabad on April 12, 2018. PTCL Group’s revenue for Q1 2018 has grown YoY by 4% to Rs. 30 billion as a result of positive contribution by all group companies. After arresting the rate of revenue decline in 2017, PTCL Q1, 2018 revenue of Rs. 17.5 billion has registered growth for the first time since Q2 2014 and posted an increase of 1% over same quarter of last year. Ufone revenue has improved by 4% YoY despite tough competition in cellular market. UBank, a microfinance banking subsidiary of PTCL, has shown very high growth and almost doubled its revenue over Q1, 2017. PTCL Group’s operating profit for the quarter improved by 27% over Q1 2017 operating profit, normalized for one offs. PTCL Group’s bottom-line has, however, declined by 10% to Rs. 1 billion mainly due to adverse impact of currency devaluation. Adjusted for Forex impacts and other one-offs, bottom line of the Group would have been 28% higher than last year. PTCL’s flagship Fixed Broadband DSL service accelerated its momentum and posted revenue growth of 9% over Q1, 2017. Investments made in Charji/LTE during last years have yielded positive results with YoY revenue growth in double digits. Corporate business has also shown significant growth of 17% over Q1, last year. 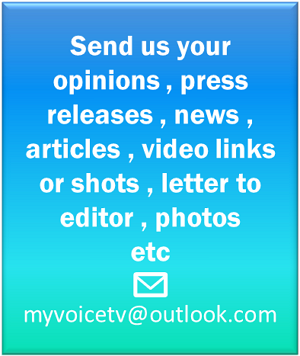 There is, however, decline in domestic and international voice revenues due to continued conversion of subscribers to OTT and cellular services resulting in declining voice traffic volumes. 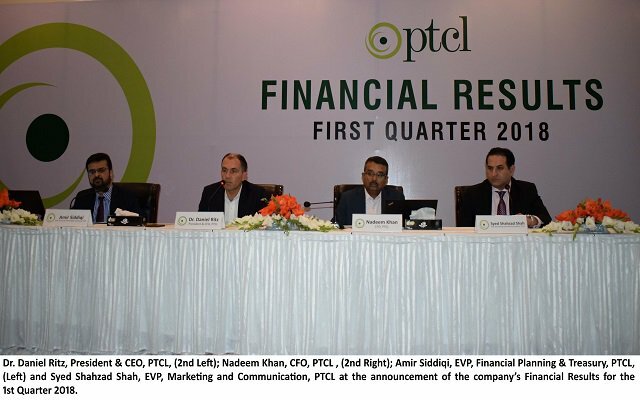 PTCL’s operating and net profit is lower by 3% and 14% compared with Q1 of last year mainly due to higher marketing and customer acquisition cost spent at the start of the year and lower non-operating income due to reduced funds on account of VSS and CAPEX investment during last year respectively. In 2018, PTCL continues its comprehensive Network Transformation project with several additional exchanges fully transformed in different parts of Pakistan. To provide customers with better internet experience and higher speeds, EVO is being replaced with Charji 4G LTE. PTCL also partnered with Netflix, the world’s leading streaming content provider, to give customers access to quality international content, thus further enhancing their viewing experience. PTCL signed new Cloud Infrastructure Services and Connectivity Services agreements while also enhancing its Enterprise Solutions and Cloud Services portfolio by signing reseller partnership agreements with global IT companies. PTCL and Telenor Pakistan, for the third consecutive year, have entered into a fiber leasing agreement, under which PTCL will deliver fiber footprint to Telenor Pakistan for 2018.